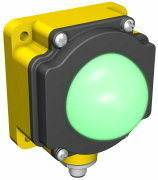 Authorized Retail Dealer of a wide range of products which include multi-function ez- light, pick- to-light ez- light, general purpose ez- light, pick to ez light, sensor emulator ez- light and sensor emulator ez light. 18 to 30V dc operation. 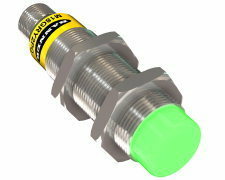 We bring forth a comprehensive range of Wl50 General Purpose Ez- Light. 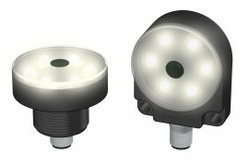 These aredesigned for enclosure or area lighting to illuminate a large area with an even pattern of light and no shadows, Rugged, sealed polycarbonate housing rated for IP69K (standard models) or IP67 (push-button models), Available in flat-mount or 30 mm base-mount housings, Flat-mount models include a 48mm (1.9") circular hook-and-loop fastener mounting kit and circular magnet for easy mounting with no additional hardware, Cabled and Quick Disconnect models available, 12 to 30V dc operation, Low power consumption; < 2 watts, ON-OFF push-button models available. 12 to 30V dc operation. 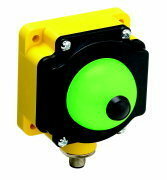 Duplicates the sensor’s green and yellow indicator function. 10 to 30V dc operation. 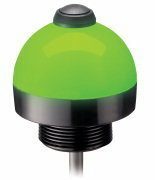 Looking for Multi Function EZ Lights ?